Coupons valid until April 17, 2019. May redeem multiple coupons per person. Coupons can be combined for an extended service. Open daily from 12 PM till 11 PM. Valid for ages 7 years and above. Coupons must be printed. No carry over. VAT included in price. Standard terms & conditions apply. Gather up some friends and plan some fun times! 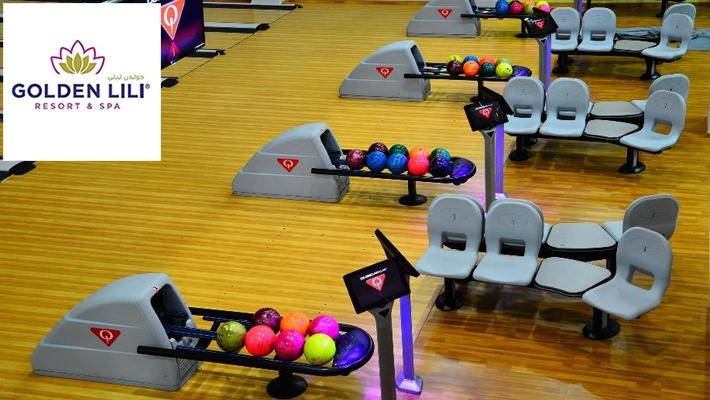 Benefit from 50% off 2 Rounds of Bowling at Golden Lili's Resort, only $6.6 instead of $13.3. 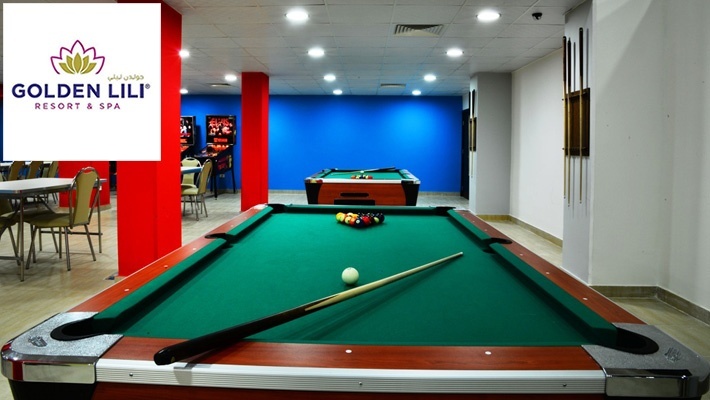 The place to be for spending fun moments! Golden Lili’s is a 5 star Resort & Spa located in Al Abadiyeh-Aley which is considered as the largest village in the Upper Maten. The resort is only few minutes away from “Souk Aley” offering a comfortable accommodation to all its guests with its 43 fully equipped deluxe rooms and suites. 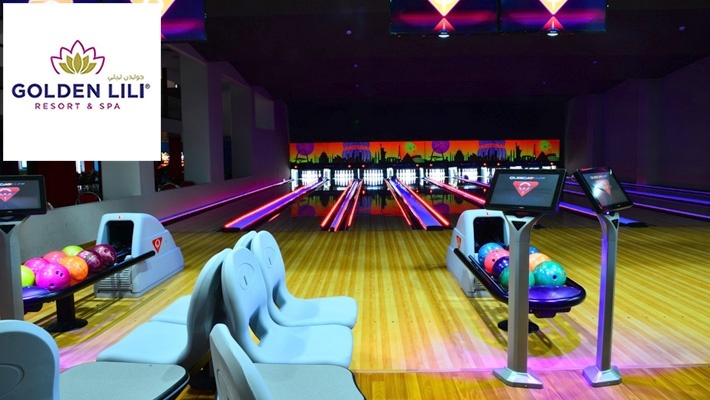 You can find a bowling alley, pool table and arcade games for your entertainment, whereas kids can enjoy their time in a special play area. 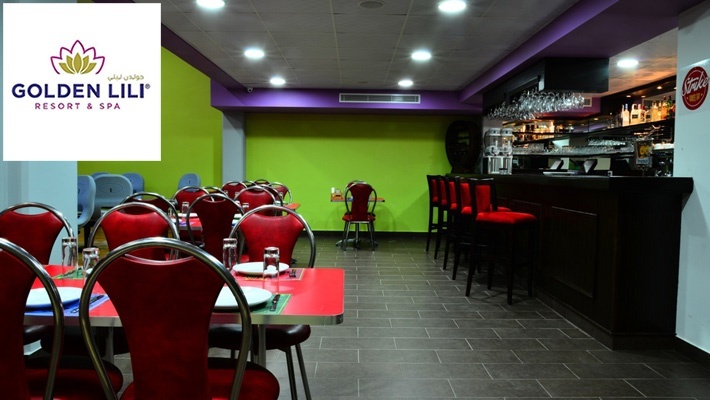 Fitness lovers can workout in a fully equipped gym and whenever you're hungry, you can enjoy delectable meals at Golden's Restaurant. 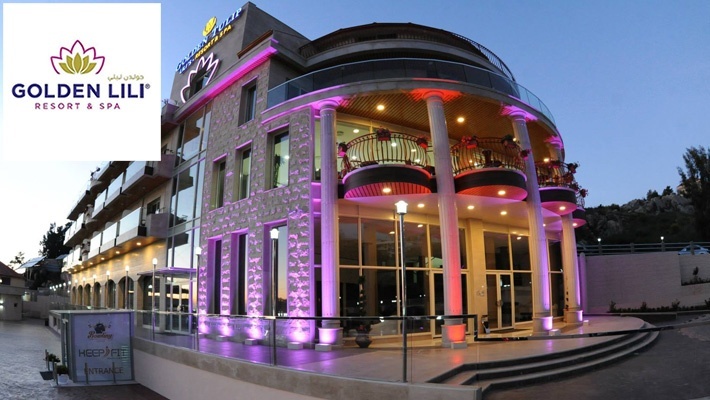 The easy access location makes it the perfect accommodation for business and leisure travelers. Whether you are planning to have a meeting or to spend some entertaining time with the family, Golden Lili’s is the ideal place! The hotel's location in a quiet surrounding will make it the perfect getaway.